Baba Soul and the Professors of Funk are back and ready to finish 2016 with a Funkstorm of Epic Proportions. They will strike once again at the legendary Herr Nilsen Club, where the aftershock of their last sold-out concert in spring 2015 can still be felt. This time however, the band will be armed with an updated repertoire of fresh new blazing tracks, guaranteed to tear the roof off the sucker with the mighty Force of the Funk and Soul. 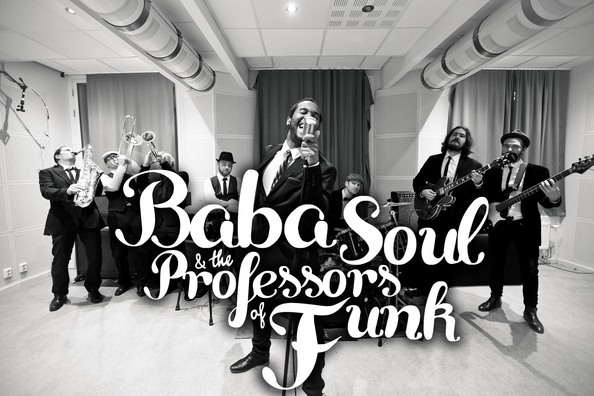 Be prepared to get down with a vengeance, for the Funk hath returned - Baba and the Professors are coming to put that stank right on it.